PERIOD OF RECORD.--Discharge records from April 2010 to current year. GAGE.--Water-stage recorder. Datum of gage is 911.33 ft above North American Vertical Datum of 1988. REMARKS.--For climatological records collected at this site, see Raingage at East Nishnabotna River at Riverton, IA (station 404140095334501). NOTE: Due to loss of funding from partner organization, operations at this site will be discontinued on July 1, 2016. 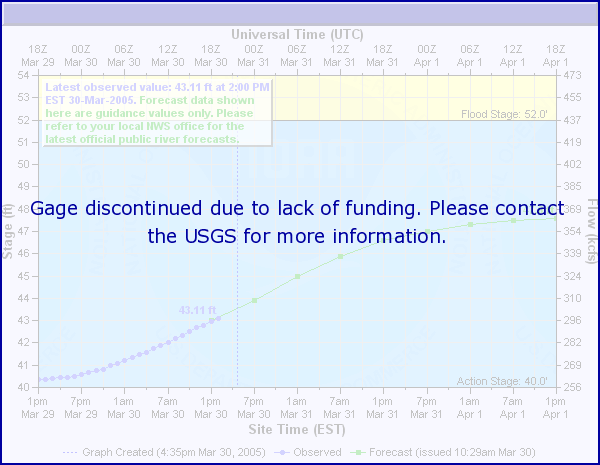 For more information, email jfnania@usgs.gov.